The four films of Dharmasiri Bandaranayake stand out like zeitgeists of the eighties and the nineties. They reflect what could have been, but was not, a more illustrious, colourful career. The alienation of the individual from his surroundings, the unreliability of an objective voice, the solace of psychological confinement, are all themes that bring these four films together; they differentiate them from his political plays. Bandaranayake’s cinema is never totally political in that sense. They never concede to political polemics. Based on the rift between power and its absence, the helplessness of the loner in the face of patriarchy, feudalism, and the many manifestations of power (the police, the institution of marriage), they delve acutely into the personal. 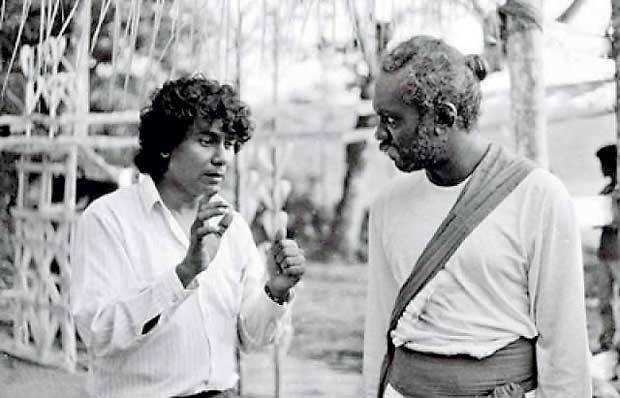 The late Cyril Perera observed that his films never really received the critical treatment they deserved. He was correct. e 1971 insurrection compelled in young idealists, fresh from University, determined that the local theatre belonged to a left-of-centre political sphere. Bandaranayake took over Henry Jayasena’s version of Makara and transformed it into Makarakshaya, reflecting this shift from Jayasena’s aestheticism to his deeply felt, sincerely articulated political convictions. The message that the play gave out, that there are more burgomasters than there are dragons, was aptly valid for a period in our history in which those burgomasters flourished in our political culture. But that was the theatre, a manifestly different medium to the cinema. 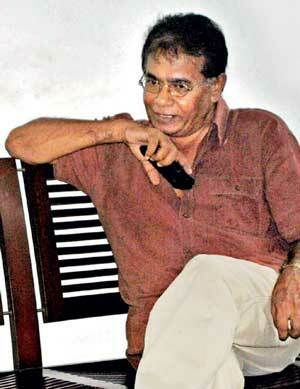 To trace Bandaranayake’s as a film director one needs to read on his childhood. 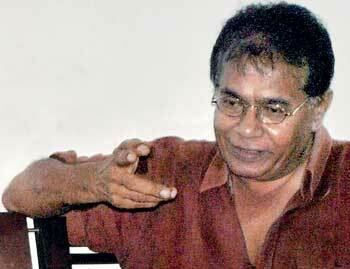 He was born in 1949 and was educated at Vidyarathne College in Horana. Even then there had been a politically active theatre culture throughout Sri Lanka, particularly outside Colombo, and the man had felt this acutely through one of his drama teachers at his school, Hemasiri Liyanage (who also hailed from Horana). Apparently Liyanage had been one of his figures of destiny, who had let his student’s imagination run riot through the many plays he staged at school. This was during the sixties, a tense, uneasy period in our history. Surprisingly, he was only a teenager when he first encountered the cinema. 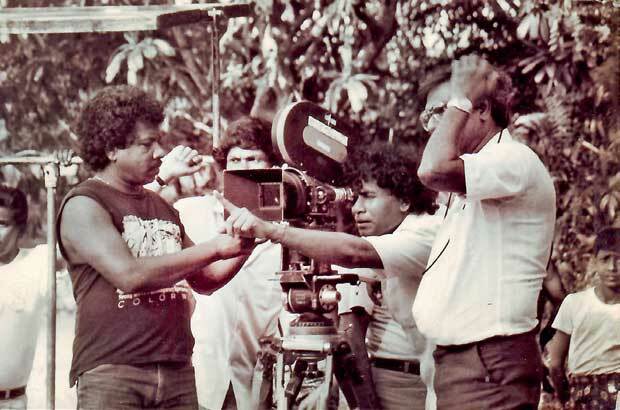 While he had not been a film fan as such before, his many encounters with the theatre had enabled him to meet Dayananda Gunawardena, who was directing his debut. He was about 17 at the time. Surprisingly, however, he never was interested in pursuing acting in the cinema thereafter: he was more interested in the camerawork and the editing, and hence struck up a friendship with Willie Blake and Sumitra Peries. “What fascinated me were the technicalities involved in the making of a film,” he told me. After that first encounter with the cinema, however, the man let go of any ideas about the industry he may have entertained, and concentrated on the theatre. During the seventies, when our political theatre (and, to an extent, cinema) matured, he displayed his talent, proved his mettle, and took over from the stylised and the kitchen sink plays that had been the norm in the preceding decades. The shift from Ediriweera Sarachchandra to the likes of Sugathapala de Silva had been one of mood and temperament, from the former’s reliance on imagery to the former’s reliance on speech. The shift from the likes of de Silva to the likes of Bandaranayake was less of mood than of conviction, although the kitchen sink play, the best example of which was Boarding Karayo, reflected the personal agonies and social angst that would be unleashed in gushes and torrents after 1971. Boarding Karayo, in that sense, was a precursor to Makarakshaya, if only distantly so. As with Nanda Malini in our musical sphere, hence, it is to Bandaranayake that we owe our understanding of political potential of the arts, in this case, the theatre, more clearly. It was in this context that Vasantha Obeyesekere selected him for the role of the protagonist in Palagetiyo. Between this and Bakmaha Deege there had been a space of 10 years, a long enough time for attitudes, idealisms, and personal convictions to change and, if provoked, sour beyond expectation. In Palagetiyo we come across a different actor in Bandaranayake: As Sarath Gunawardena, the embittered protagonist who works as a manager for a rich mudalali and then elopes with his daughter, he virtually distilled the alienation from personal feelings the youth of his time might have, against their will, felt. In Obeyesekere’s hands there is no attempt at romanticising the elopement (Which occurs secretly, and quickly, at night) barring the first few sequences in Sarath’s village. The misery and the harsh realities that the girl (played by Dammi Fonseka, slain tragically in Kahathuduwa after the film was released) forces herself to are poignantly depicted, as is her confused, repressed feelings of love towards a neighbour (played by Ranjan Mendis) in the shanty house they are compelled to live in, given Sarath’s unemployed status. 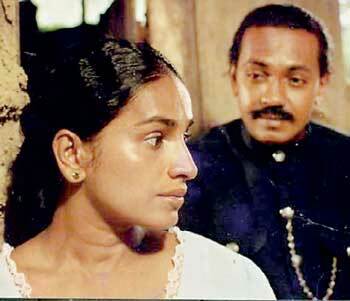 Even on a first viewing, the parallels between Palagetiyo and Bandaranayake’s debut, Hansa Vilak, are certainly hard to miss: Both have Bandaranayake as the condemned protagonist, both have Henry Jayasena as a ramrod figure of the establishment that he is pitted against, and both involve the conflict between eroticism and social discrepancies. In Thunveni Yamaya he went beyond the psychological subjectivity depicted in Hansa Vilak, to varying degrees of success. Perhaps the relative failure he encountered with that film – the authors of Profiling Sri Lankan Cinema correctly surmise that in it there is a disjuncture between the director’s “bold outlook” and the “complex demands” the themes he explored required – compelled him to fall back on adaptations of literary texts thereafter: Suddilage Kathawa, Bhava Duka, Bhava Karma (the latter two of which were filmed together). The complexities of mood and milieu that these films open the viewer up to can’t really be ascertained or described through one review, let alone a newspaper sketch, so suffice it to say that they reveal the director’s belief that the personal always has a hand in shaping the social, that relationships between individuals can congeal into power relationships between different layers of society. In these three seminal films, those layers are determined by a feudal structure, which is where an interesting historical contradiction in Bhava Duka and Bhava Karma comes out: the fact that Colonialism was so easily able to intrude on our society because the stratifications in our society, between the favoured and the unfavoured, allowed the conqueror to easily disrupt our lives.